CEO/President – Per Med Clinical Research Group, LLC – With the vision and spirit of entrepreneurship, Dr. Marsha Mallett serves as CEO and President of Per Med Clinical Research Group, LLC. Dr. Mallett is the founding member of the company and has extensive experience in the Pharmaceutical Industry. Prior to her role as CEO of Per Med Clinical Research Group, Dr. Mallett served as Vice-President of Business Development and Operations for a Medical Wellness Spa and Pharmacy; which was housed in a 30,000 sq. ft. facility in the Central Florida area. She developed initiatives and spear-headed efforts that were instrumental in the company’s growth. Dr. Mallett’s leadership roles and experience has poised her to position Per Med Clinical Research Group as a major network of Clinical Research sites. Dr. Mallett spent many dedicated years as an educator with Dade County Public Schools, before her enterprising career in pharmacy. She is currently licensed, and trained as a pharmacist. Since 2006, she has held several management positions in retail pharmacy, with additional experience as a Clinical Specialty Pharmacist. She also has experience as a Clinical Research Associate/Medical Science Liaison with concentrated focus on Pharmacogenetics. Although born in Miami, Dr. Mallett is originally from the Florida City/Homestead area. She has appeared in numerous Pharmacy-related, community-driven television commercials in Dade, Broward, and Orange County respectively. 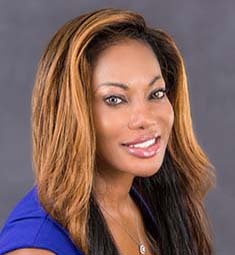 She was interviewed on Lifetime’s morning show, “The Balancing Act.” She holds a Bachelor of Science degree in Business Administration-Management from Florida Memorial University, Miami, Florida, and received her MS, MBA, and PharmD degrees from Nova Southeastern University, Ft. Lauderdale, Florida.